Pavel Durov, the elusive founder of VKontakt (VK) — at 100 million users Russia’s biggest social network — has confirmed that he has sold his 12 percent stake to Ivan Tavrin, the CEO of major Russian mobile operator Megafon. The telco’s second-largest shareholder is Alisher Usmanov, one of Russia’s most powerful oligarchs, a man who has long been lobbying to take over VK. According to Reuters Usmanov and his allies now control some 52 percent of the company, from his 40% stake via Mail.ru and now Durov’s 12%, while another shareholder group owns 48%. So it looks like he’s pretty much got what he wanted. Russian business daily Vedomosti has reported that the deal was sealed last month, possibly based on a valuation of $3-$4 billion for all of VK, which is heavily based on an earlier version of Facebook. Over the last year Durov had come under enormous pressure to relinquish his stake in his creation. Signs that he was looking towards the future came last year at TechCrunch Disrupt in Berlin when he unveiled a new project called Telegram – an app for highly secure communication, but owned by a nonprofit organisation, instead of being a for-profit or venture-backed enterprise. At that event he also heavily criticised both the Russian government and the US government for sanctioning mass surveillance. Durov was an unusual founder. Incredibly secretive – perhaps understandably in Russia’s recent era – he courted controversy when he threw rouble notes out of his office window to celebrate a colleague’s bonus. 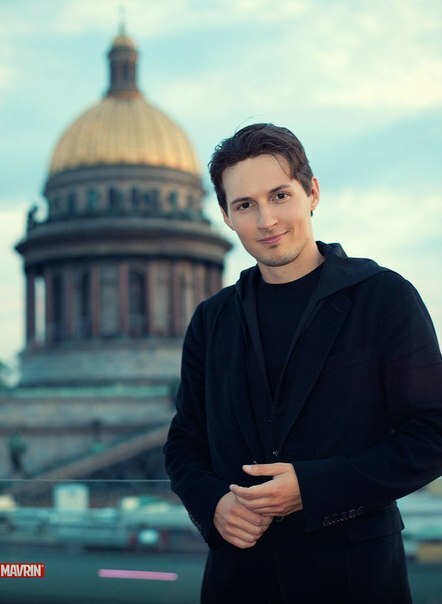 Whatever the case, Durov is young, gifted and will almost certainly be back.